I am quite into using my technology. ‘Quite,’ is an understatement, I am a borderline geek, except ‘geek’ is not very self-complimentary. It means a socially inept person or one who engages in computer-related tasks obsessively or with attention to technical detail. Let’s put it this way, when I plug all my iPhones, iPad, iWatch, MacBook, iPod, Kindle, Bluetooth earpiece, and Bluetooth speaker I have used every plug in my hotel room, and have a dozen flashing lights that makes my room look somewhat like a disco or an airport runway. My phone battery lasts about six hours before I have to plug it in. My iPad and Notebook lasts at least, eight hours at a time, but I don’t use those devices as much as my phone. The devices that I use the most must be topped up at the end of the day, to prevent them from going into the red. 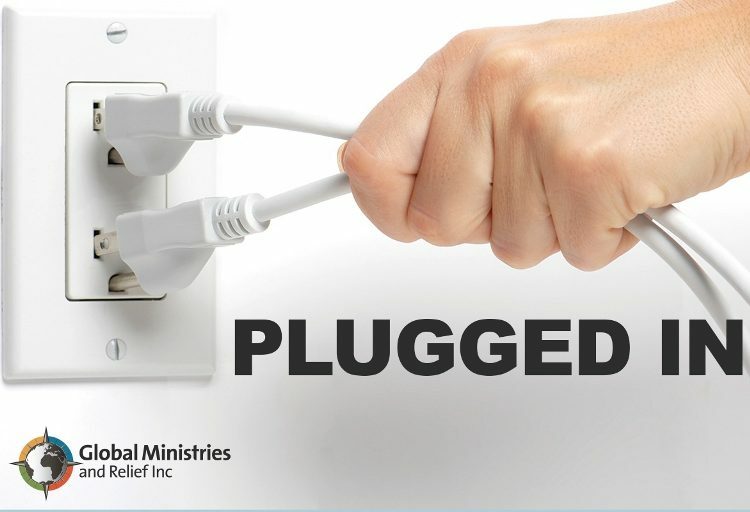 We have to intentionally plug into the power and strength that comes from God alone. This heavenly download is not automatic or caught in the atmosphere. To do this, we have to draw near to God; we have to press into His presence; we have to receive from Him by faith. My closing thoughts – Stay fully charged and then flow with the supply of God!